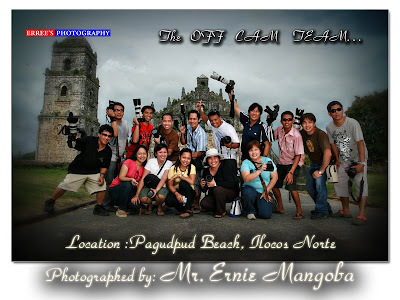 THE SMILE OF HAPPY TEAM AT PAOAY CHURCH IN ILOCOS NORTE AND 1 OF THE TOP TEN TOURIST SPOT OF THE PHILIPPINES AND 1 OF THE OLDEST CHURCH ALSO. 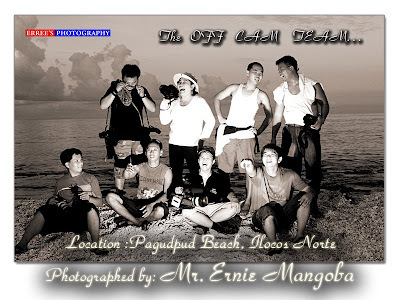 (CLOCK WISE) RONALD, JANET, LOUIE, ME (ERNIE), ARIEL, BOYET, GERRY, AND ADZ WERE GETTING WACKY SHOOTS WITH NOLI (MAKE UP ARITST). 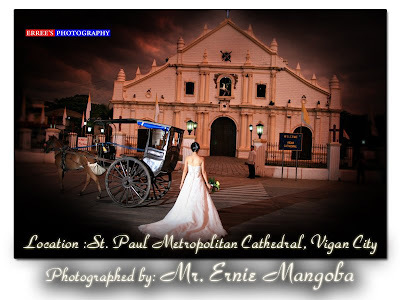 RACHELLE & TONY POST WITH THE ST. PAUL CATHEDRAL OF VIGAN AND THE CALESA. 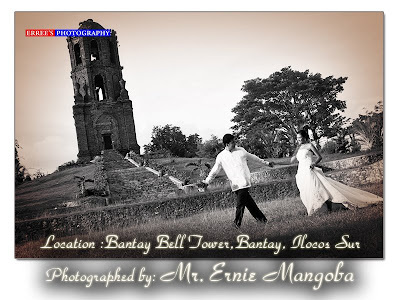 BEA & TONY WALK WITH BELL TOWER OF BANTAY, ILOCOS SUR. 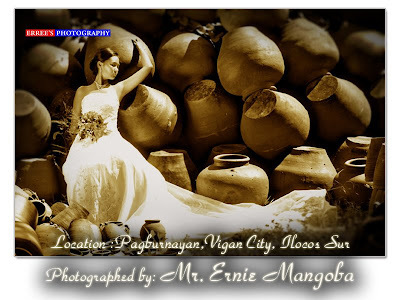 ALSO TOP 10 TOURIST SPOT OF ILOCOS SUR. 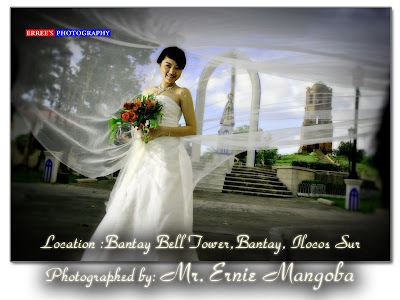 MS. RACHELLE POST ALSO IN BELL TOWER NEAR INFRONT OF THE CHURCH ST. AUGUSTINE PARISH. THE BURNAY (POT) AND BEA POST IN THE STORAGE AREA . 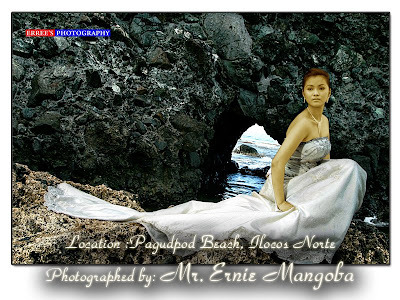 ME AND MY COMPANION WE GET THEM AT BESIDE OF PAGUDPUD BEACH WITH THE BEAUTY OF THE ROCKS . 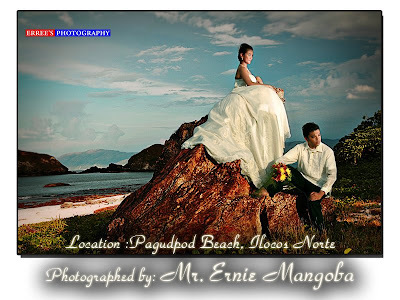 MY BRIDE ALONE WITH THE BACKGROUND OF THE BIG ROCK LIKE AN ISLAND. 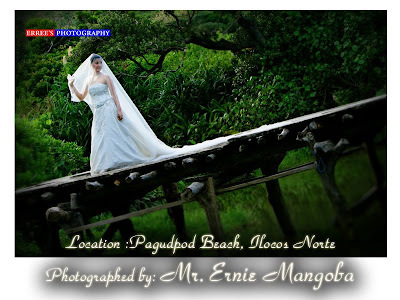 BEA WITH THE WOODEN BRIDGE IN PAGUDPUD. 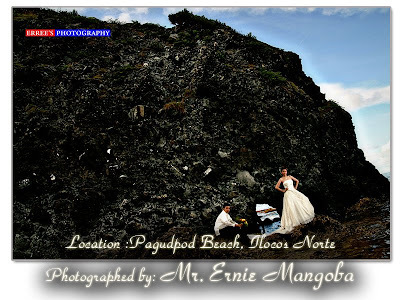 WE POSE AT THE FUNTASTIC STONE WITH THE GROOM AND BRIDE. 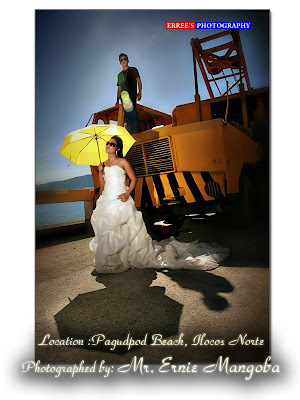 I SAW THE LIGHTING EFFECT THAT'S WHY I CAPTURE IT. BEA GETTING UP TO THE STAIR OF LIGHT HOUSE WHEN I SHOOT THESE IMAGE.